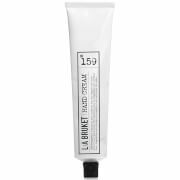 Delicately scented with Wild Rose Essential Oil, the L:A BRUKET Hand Cream delivers intense nourishment and hydration to restore soft, supple hands without greasy residue. Harnessing the powers of Shea Butter and Coconut Oil, the luxurious formula absorbs quickly into skin to replenish and rejuvenate, whilst stimulating cell renewal and protecting against daily environmental aggressors for long-lasting comfort. 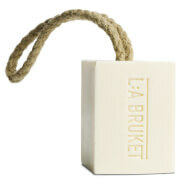 Hands are soothed and conditioned with a relaxing fragrance. Aqua (Distilled Water), Glycerin (From Coconut), Sorbitan Olivate (From Olives), Betain (From Coconut), Cetearyl Olivate (From Olives), Butyrospermum Parkii Butter (Shea Butter), Limnanthes Alba Seed Oil (Meadow Foam), Cocos Nucifera Oil (Coconut), Cetyl Palmitate (From Palm Oil), Cetyl Alcohol, Stearyl Alcohol, Sorbitan Palmitate (From Avocado), Parfume (Essential Oil Mix), Benzyl Alcohol (Natural Preservative), Sclerotium Gum (Natural Gel), Allantoin (Comfrey), Salicylic Acid (From Meadowsweet), Sorbic Acid (Natural Preservative), Sodium Hydroxide And Citronellol, Geraniol, Citral (Natural Ingredients Of Essential Oils).